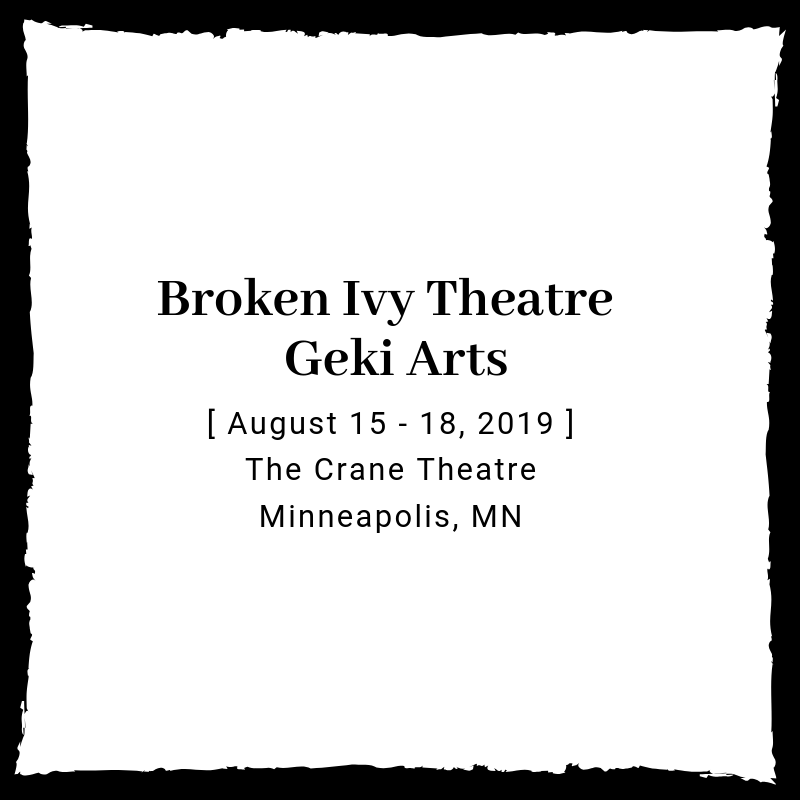 Casting "Gruesome Playground Injuries" & "The Maids"
Broken Ivy Theatre & Geki Arts is currently casting a company of five (5) actors to fulfill roles in “The Maids” by Jean Genet & “Gruesome Playground Injuries” by Rajiv Joseph! IMPORTANT UPDATE: At this time we are seeking male actors (between 18 and 24) only, please send us an EMAIL to sign up for an appointment. Video submissions are encouraged if you would like to be considered. SOLANGE: Claire's older sister. Madame's maid. Senses her captivity. Prone to fantasy. A warped reflection of her sister. CLAIRE: Solange's younger sister. Madame's maid. Finer than her livery. Prone to fantasy. A warped reflection of her sister. MADAME: Entitled, easily powerful. The Goddess. The Victim. The Boss. The Turd. Awfully magnanimous when she feels like it. Carried away by a scandal with her lover. DOUG (M): Earnest and a bit goofy. Has a daredevil childlike streak in him that is always leaving him with some kind of injury. A gallant noble quality about him when it comes to Kayleen. A knight willing to suffer anything on her behalf. KAYLEEN (F): A damaged child that grows up to be an equally damaged woman. The eternal damsel in distress. Can't seem to give or receive affection from the only person she truly loves, Doug. Please prepare a one-minute contemporary dramatic monologue and be prepared to read from the script. Callbacks will be held on an as-needed basis and by appointment only.